Designing recreational areas requires extensive knowledge and experience in the field of sports and safety surfacing. 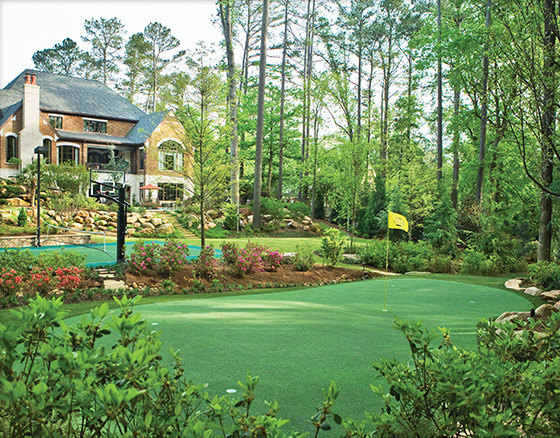 At Lanmark Designs, we not only have this experience, but by working closely with our sister companies like XGrass, Play It Surfacing, VersaCourt, Play On Courts and Tour Greens, we tap into their years of expertise of developing solutions for specific applications. As specialists in the field of playground surfacing, Lanmark Designs works closely with XGrass, Play It Surfacing, VersaCourt, Mulch Outfitters and other members of The Recreational Group family of companies to design safe, functional and aesthetically pleasing environments for children's play areas. At Lanmark Designs, we believe that playgrounds are for people of all ages - for the young and the young at heart. 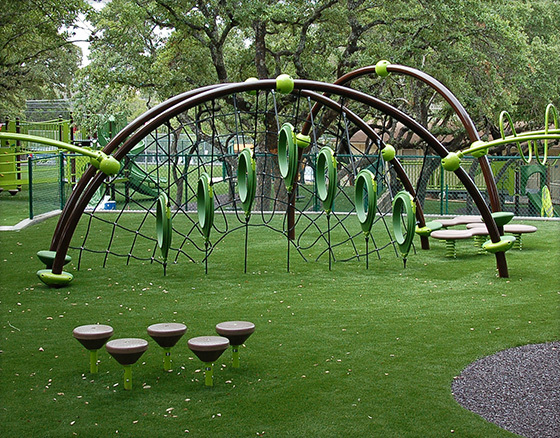 So, while we have years of experience in designing children's playgrounds, we can create adult play areas featuring Tour Greens golf systems, VersaCourt game courts, and XGrass bocce and tennis courts. Working closely with Tour Greens, we design everything from backyard golf greens to entire courses and training facilities. 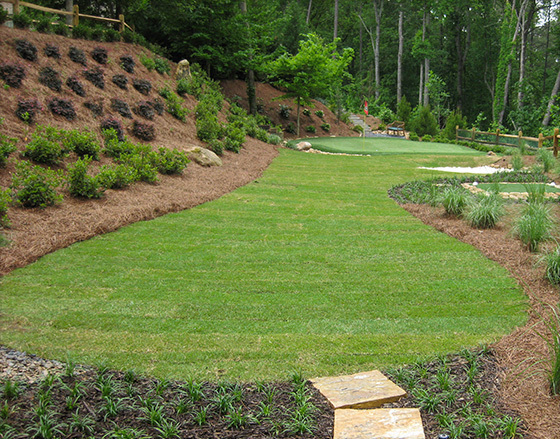 We often start with Tour Greens' high-performance, tour quality golf greens and then look for ways artfully integrate them into their environment. 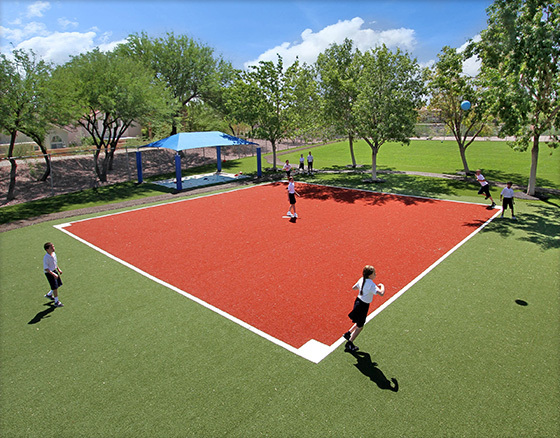 Using unique synthetic turf and rubber surfacing solutions from XGrass and Play It Surfacing, we can create innovative solutions like these kid's activity fields that are safe and fun yet very easy to maintain.